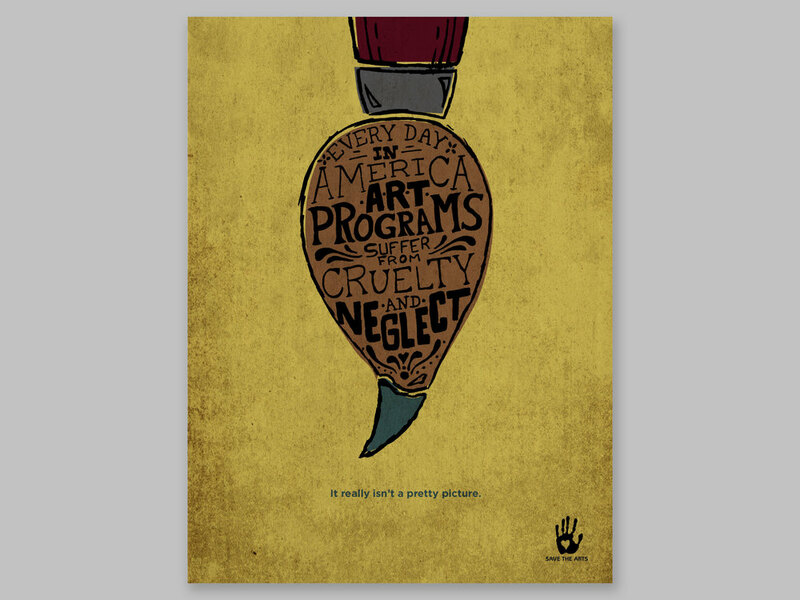 Design a poster series promoting art as a program. 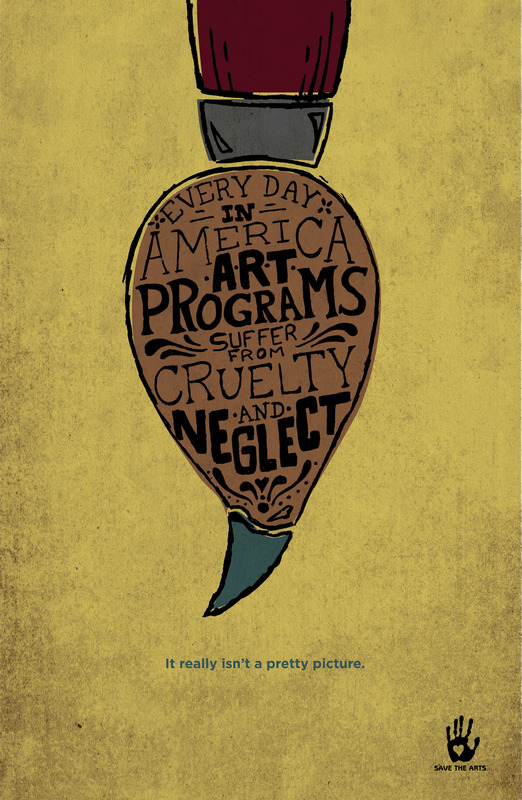 Art programs are really struggling to remain in our schools systems around the country. It is as if they are abandoned pets looking for homes. Playing off of this idea, I made these dramatic posters using a twist on an ASPCA commercial quote. Using hand done text and added textures, the posters feel grungy and abused.